Gold Style Homes is a multiple award winning boutique builder with a well-deserved reputation for quality workmanship and reliability. They measure their success not in terms of quantity, but rather in terms of excellence in design and building construction. 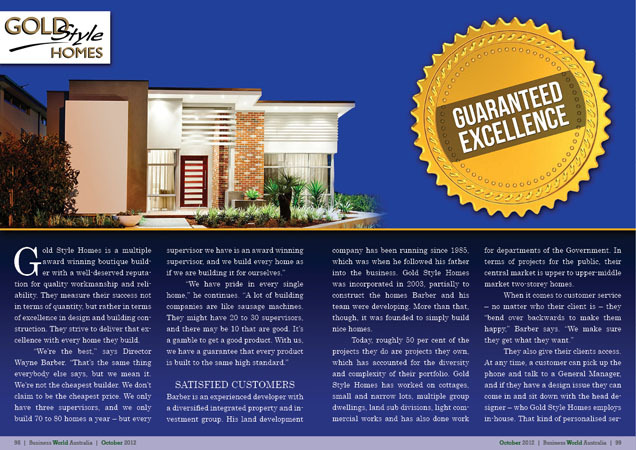 They strive to deliver that excellence with every home they build. Barber is an experienced developer with a diversified integrated property and investment group. His land development company has been running since 1985, which was when he followed his father into the business. Gold Style Homes was incorporated in 2003, partially to construct the homes Barber and his team were developing. More than that, though, it was founded to simply build nice homes. Today, roughly 50 per cent of the projects they do are projects they own, which has accounted for the diversity and complexity of their portfolio. Gold Style Homes has worked on cottages, small and narrow lots, multiple group dwellings, land sub divisions, light commercial works and has also done work for departments of the Government. In terms of projects for the public, their central market is upper to upper-middle market two-storey homes. They also give their clients access. At any time, a customer can pick up the phone and talk to a General Manager, and if they have a design issue they can come in and sit down with the head designer – who Gold Style Homes employs in-house. That kind of personalised service can be lacking at larger companies. “We’re very picky about who we employ on our sites,” he says. “We’re always looking for good trades, and looking after them when we get them.” Gold Style Homes will even hold jobs until the trades they want are available, rather than use a different trade that was subpar. 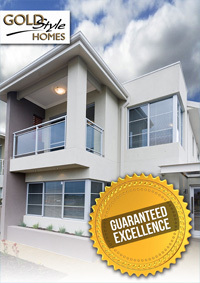 Gold Style Homes and their commitment to excellence have been rewarded by the industry over and over again. 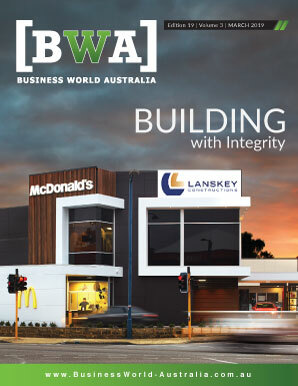 Both the Master Builders Association and the Housing Industry of Australia have given Gold Style Homes’ projects numerous awards – in 2012 alone, the company won six MBA awards.